I went to Ford's office to show him the revised sketches for my wardrobe. My arms full of the sketches, I walked into his office without knocking and could hardly believe my eyes. Ford had his arms around another man and was kissing him. I was shocked and speechless. I quickly dropped the sketches on the floor, then knelt down to pick them up. I fumbled around slowly and kept my head down. I took my time so they could part and compose themselves. They were on opposite sides of the room in a flash. The gentleman Ford was with was one of the most famous leading men in the picture business. He addressed a few pleasantries to me, which were forced and awkward, then quickly left. Ford and I went on with our business. Not a word was said, and I played it out as if I hadn't seen a thing. 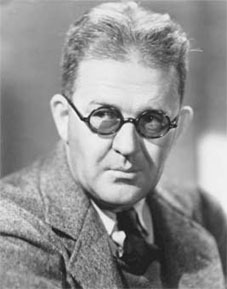 Later, that actor approached me and asked, "Why didn't you tell me John Ford was homosexual?" I answered, "How could I tell you something I knew nothing about?"